Kathy Bee is a TV Producer, Host, Musical Playwright and an Award Winning Singer, Songwriter, who entertains audiences across the U.S. opening for numerous celebrities including the late great...Bob Hope to Former President Bill Clinton. For ten years, in order to promote extraordinary people, Bee produced and hosted 250 TV show segments calledTouching Lives in Southern California. 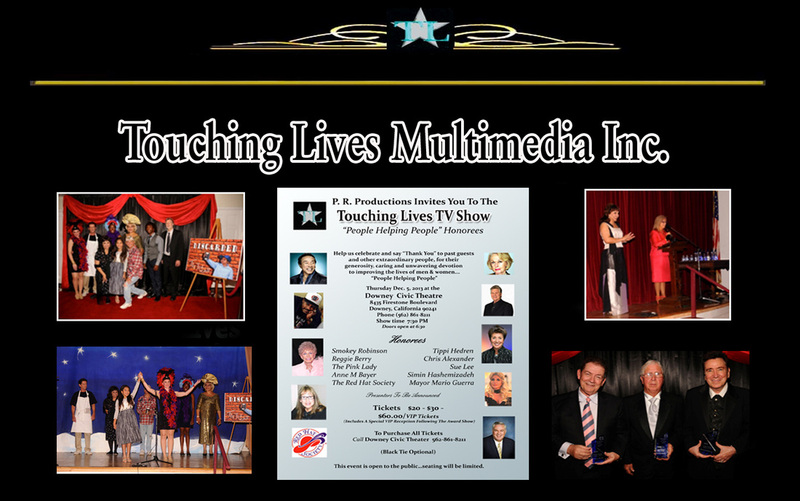 In 2012 theTouching Lives TV Award Show premiered in Hollywood, honoring past amazing people...ordinary unsung heroes. Not forgetting the people in need...Kathy Bee wrote and produced a musical and musical showcase about the homeless called “The Tin Can”. Kathy Bee is also "The Red Hat Mamma" who often entertains for her fellow Red Hat Sistersat conventions, festivals and celebrations. Plans are currently underway to produce more Touching Lives TV Shows and to produce Multimedia Training Webinars, Seminars and Workshops.